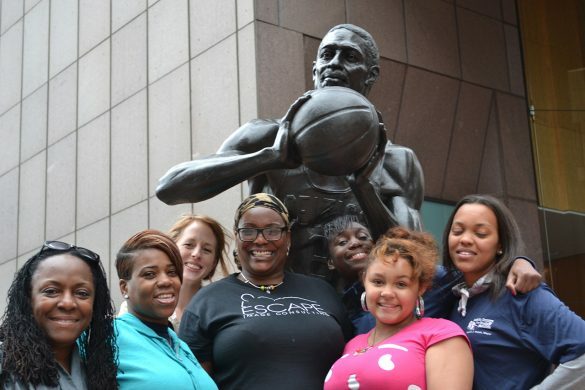 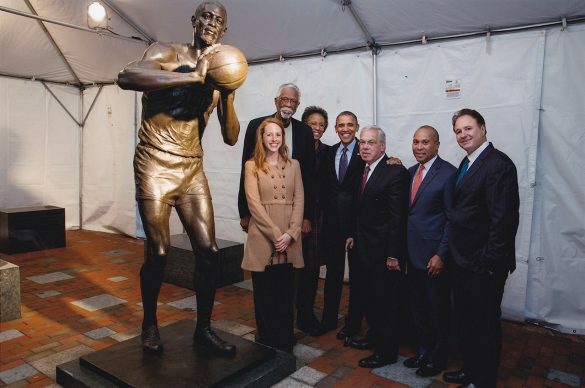 The Bill Russell Legacy project is dedicated to the great Celtics champion, human rights activist and national mentorship leader, Bill Russell. Russell’s adaptation of lessons learned on the court of basketball into a philosophy for civic engagement, mentorship and compassion are central to the work. 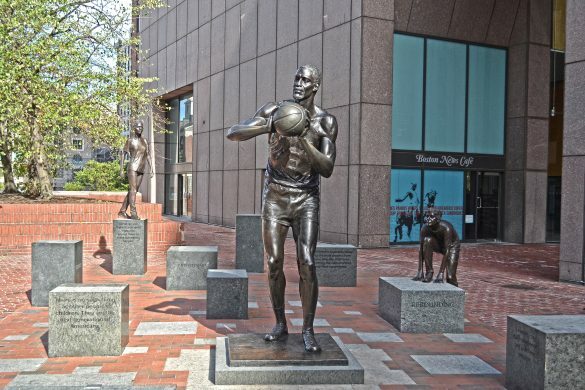 Here concepts derived from basketball are translated through the structure of the artwork which is experienced through a process of physical exploration and interaction. 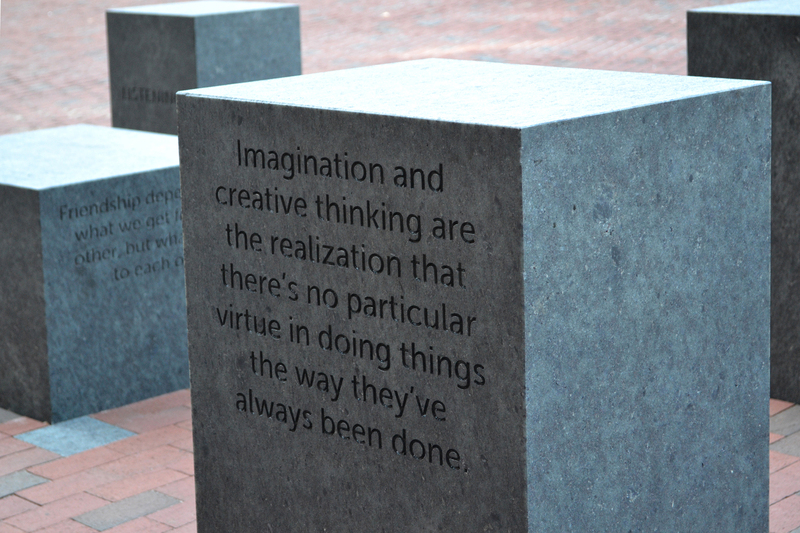 There are ten granite plinths each featuring a key word and a corresponding quotation to illuminate the myriad accomplishments spanning Mr. Russell’s career both on and off the court. 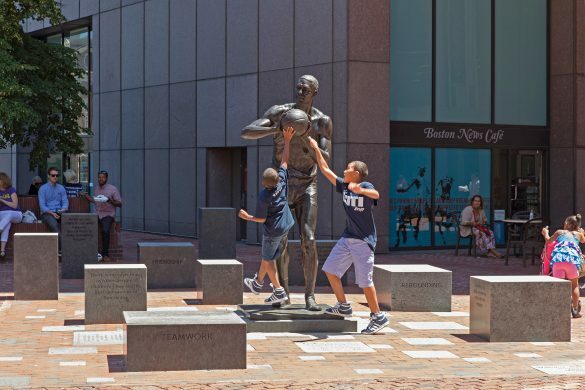 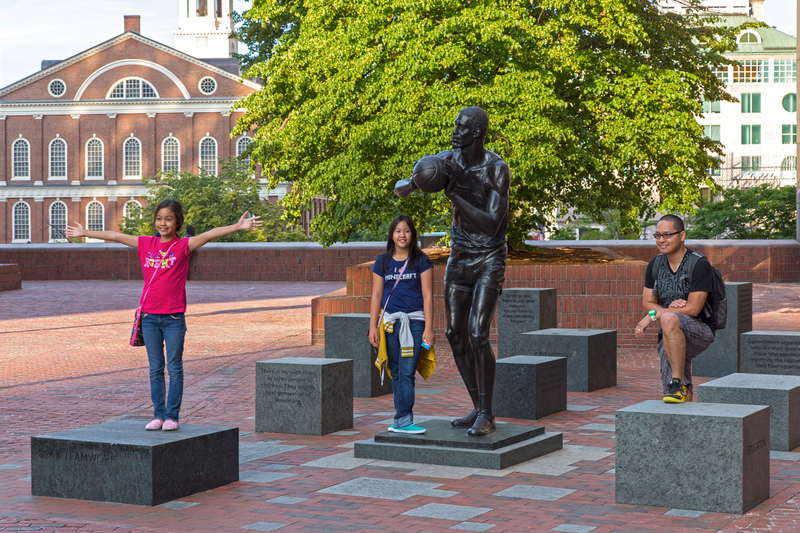 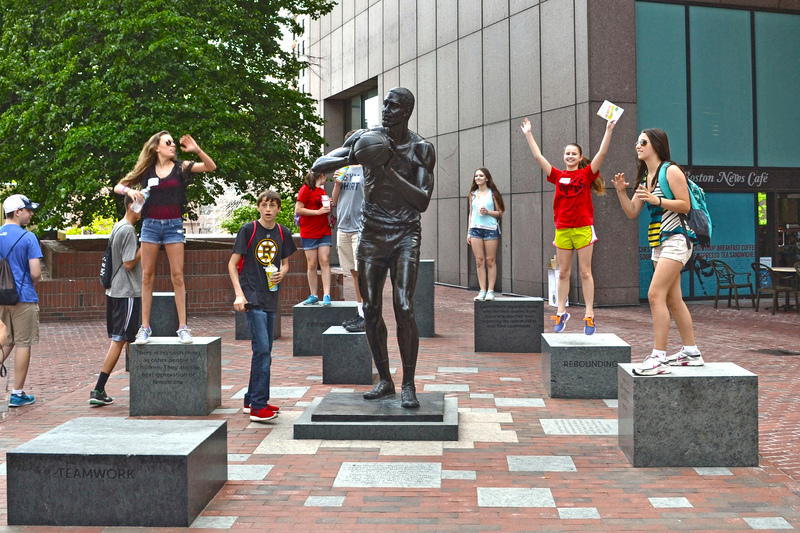 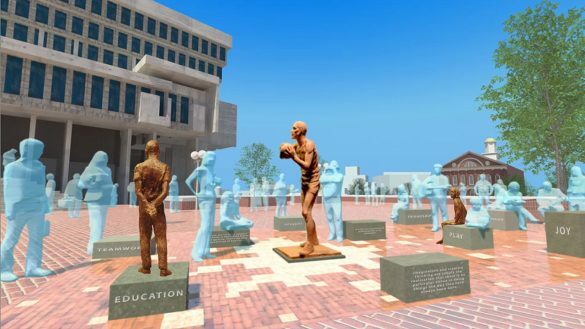 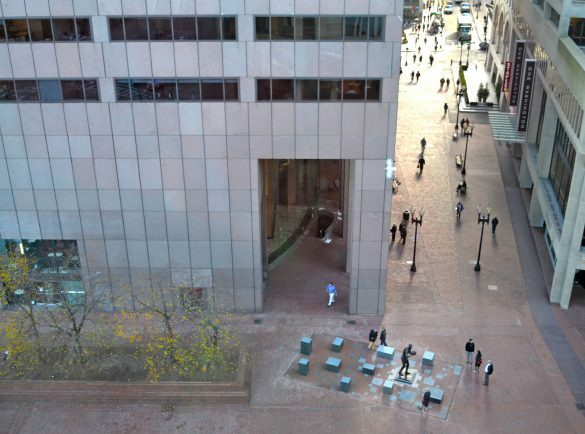 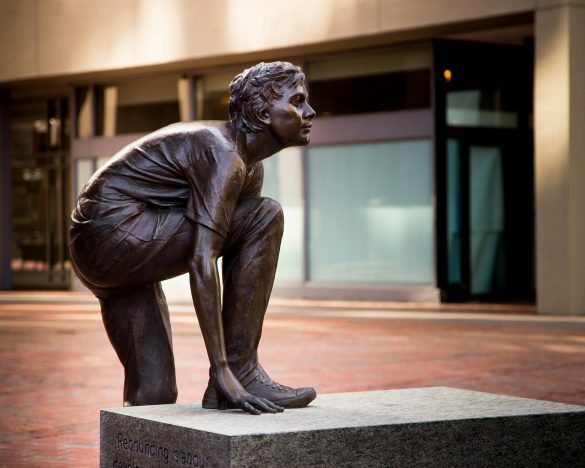 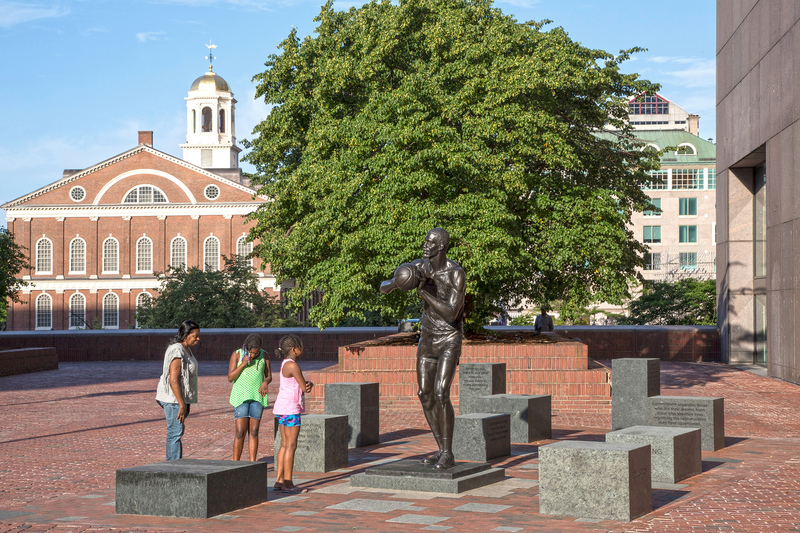 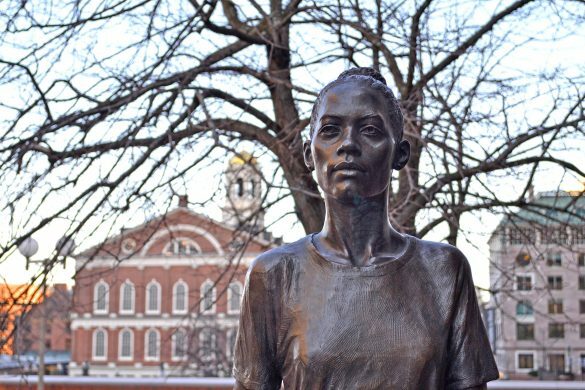 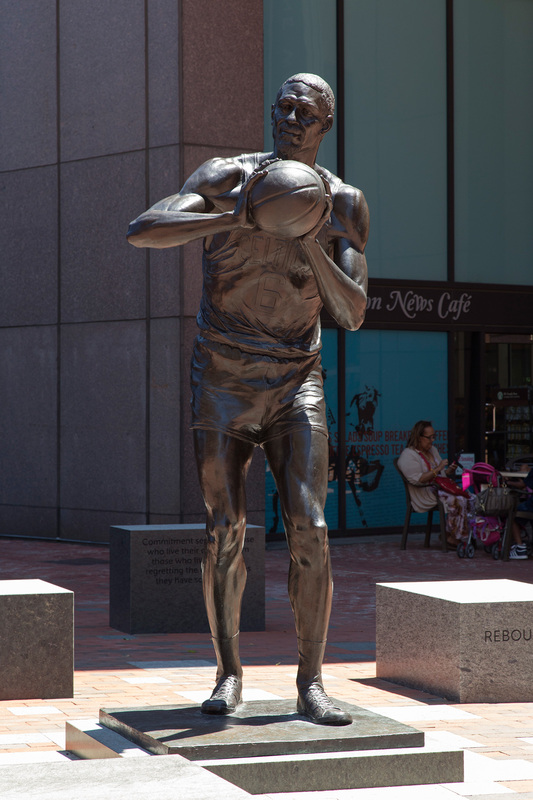 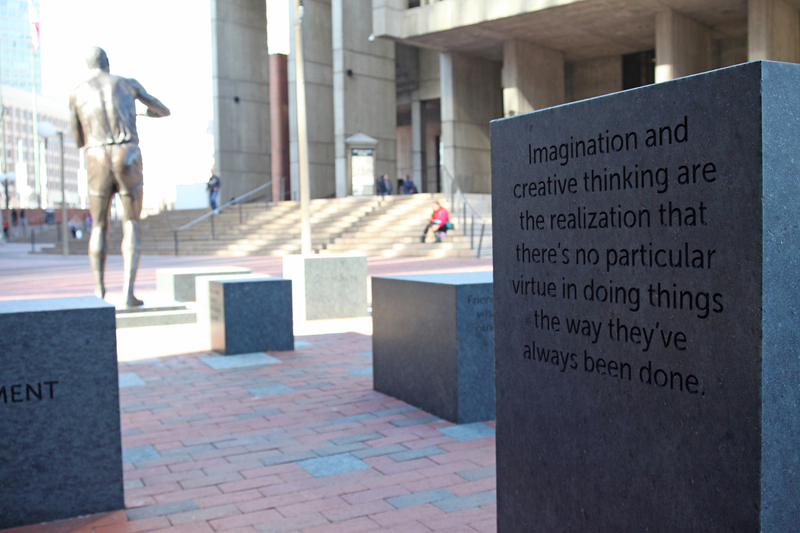 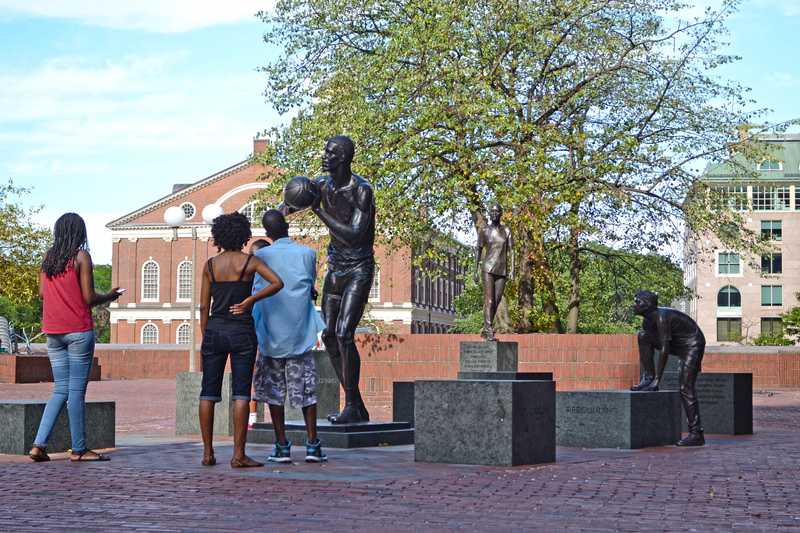 The artwork features a sculpture of Bill Russell in game action pose with 11 granite plinths representing the 11 championships he helped the Boston Celtics win and two sculptures of a boy and a girl. 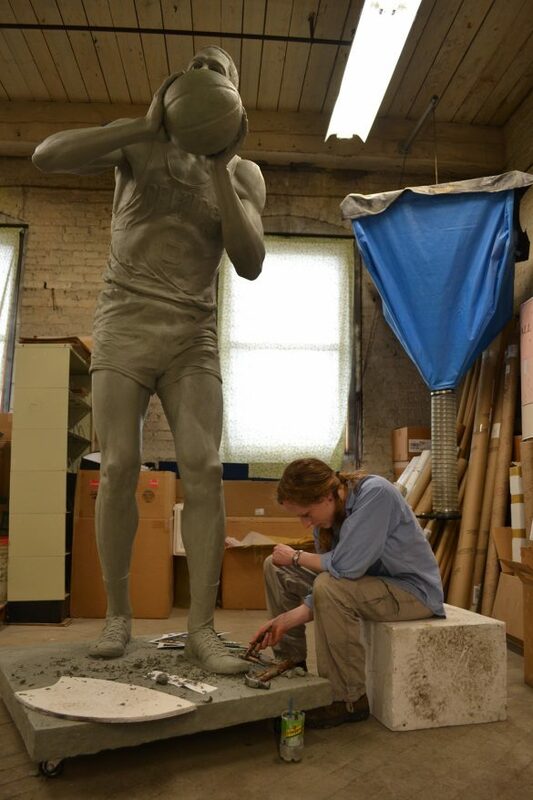 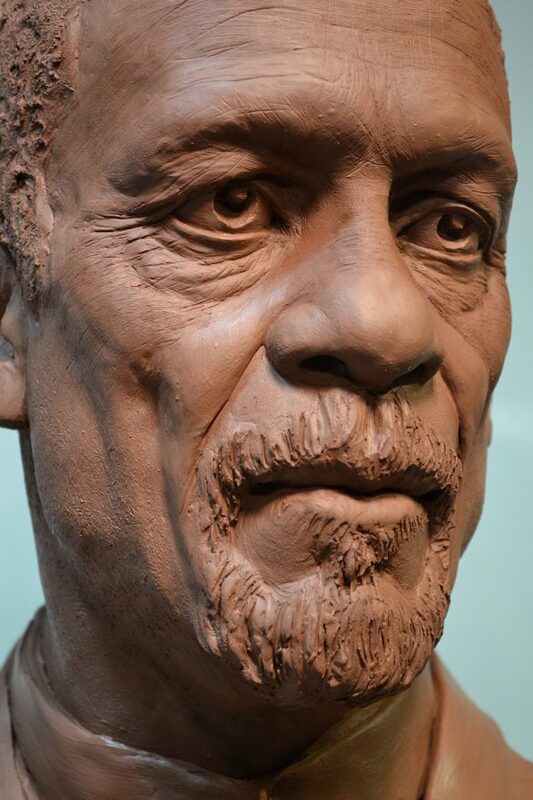 The sculpture of Mr. Russell represents Bill Russell the whole man. 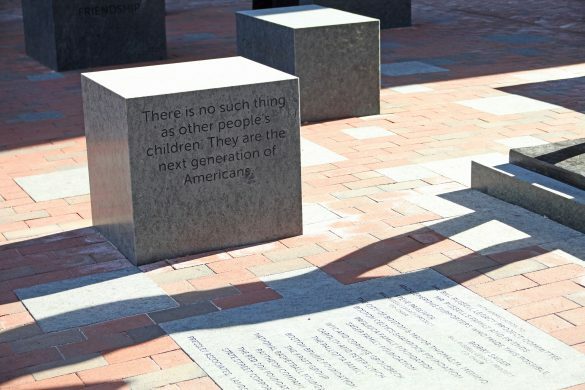 The sculptures of the children represent the potential in each child to succeed based on his or her own merits. In the second phase of the project, Ann collaborated with teens from Roxbury and Somerville to codesign the sculptures of the children through a mentorship process. 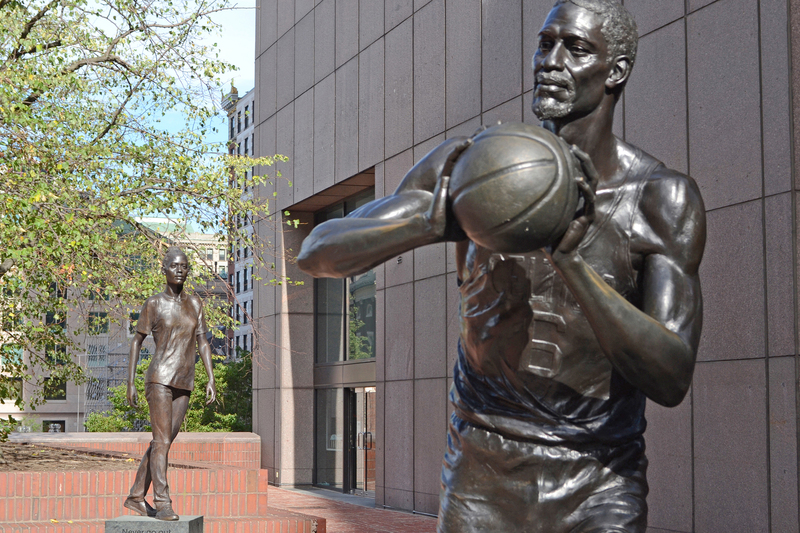 You can see the Bill Russell Legacy project books here (for Phase I) and here (for Phase II). The Boston Globe with Baxter Holmes, 10.23.13; United Press International with Gabrielle Levy, 10.30.13; The Christian Science Monitor with Ross Atkin, 11.2.13.